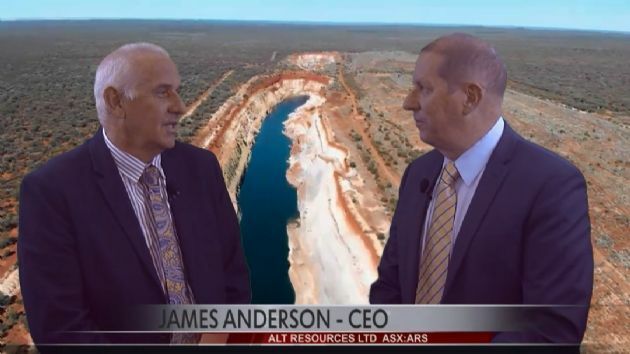 Canberra, May 30, 2018 AEST (ABN Newswire) - Alt Resources Ltd ( ASX:ARS), (Alt or 'the Company') is pleased to announce further results from the RC drilling program undertaken at the Emu deposit and the final 3 holes at Southwark deposit, Bottle Creek Gold Project, WA. 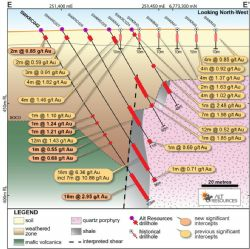 Recent drilling at the Emu deposit covered 600 metres of strike length and the drilling at the Southwark deposit covered 300 metres of strike length indicating the scale and quality of this project. 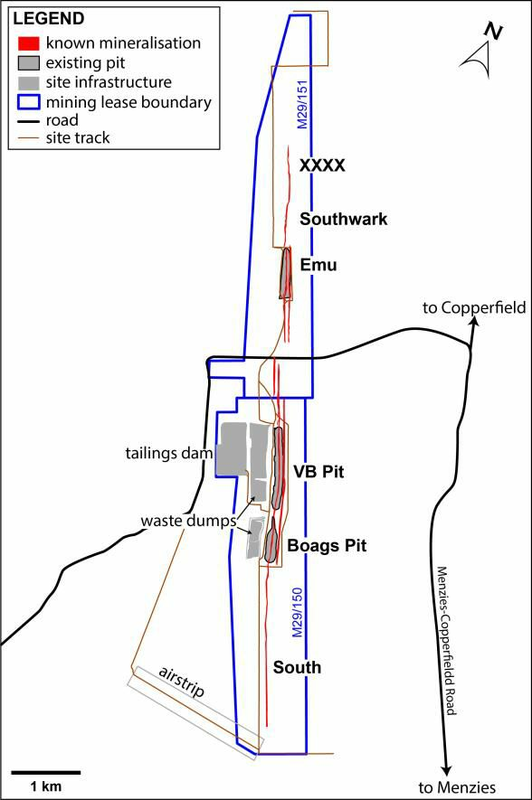 Emu and Southwark are un-mined deposits that lie approximately 4 km to the north of the VB and Boags open pits (see Figure 1 in link below). 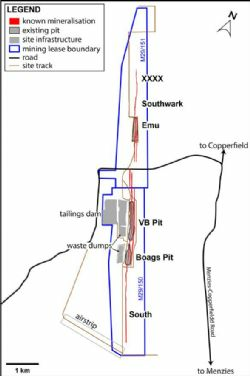 The final 3 holes at Southwark continue to reveal a coherent, steeply dipping ore zone which appears to be open and broadening at depth. 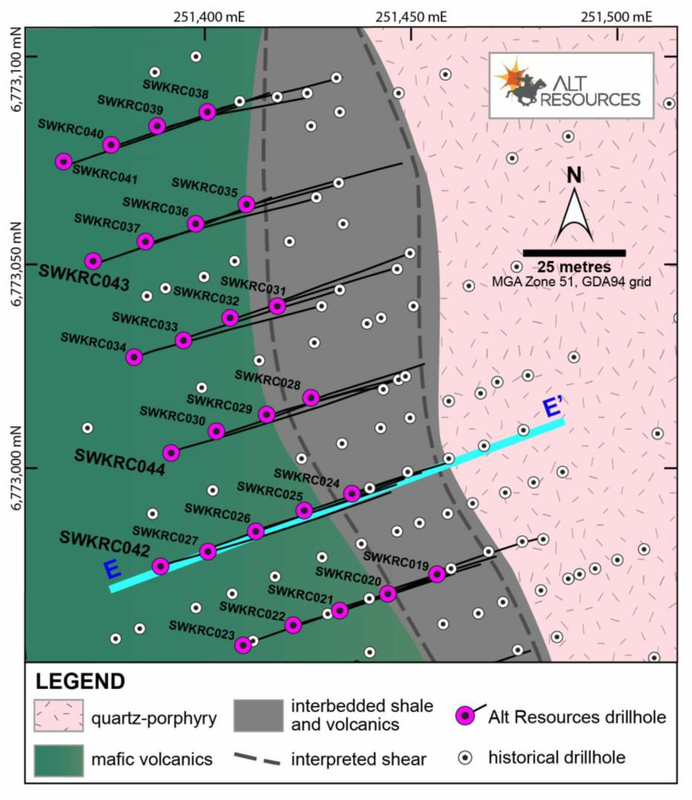 Gold assays have been received from drillholes SWKRC042 to SWKRC044, completing the current round of RC drilling results for the Southwark deposit. 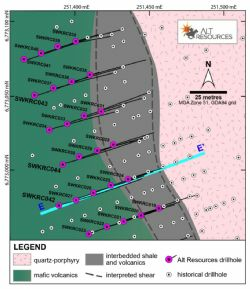 Results from RC drilling in the southern part of the Emu deposit includes holes EMRC039 to EMRC071, for 3020m. All significant assayed results are listed in detail in Table 1 (see link below). 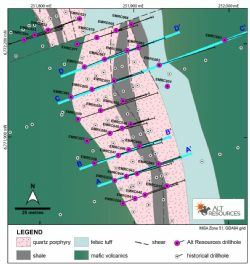 The mineralised zone at Emu continues to be characterised by broad, consistently graded zones such as 20m @ 3.4 g/t Au(see Note 1 below) and 14m @ 2.9 g/t Au(see Note 2 below). 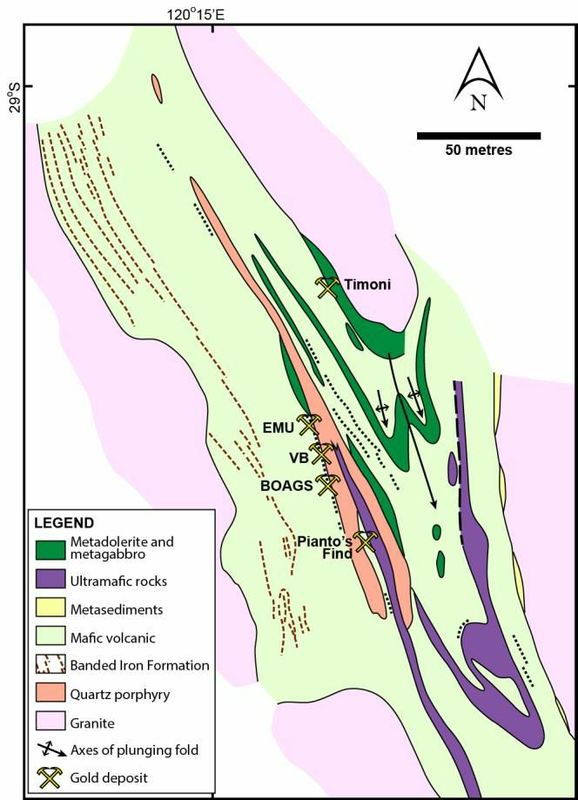 Mineralisation appears to be concentrated along the sheared margin of a felsic quartz porphyry intrusion where it contacts a black shale interbedded with mafic volcanics. 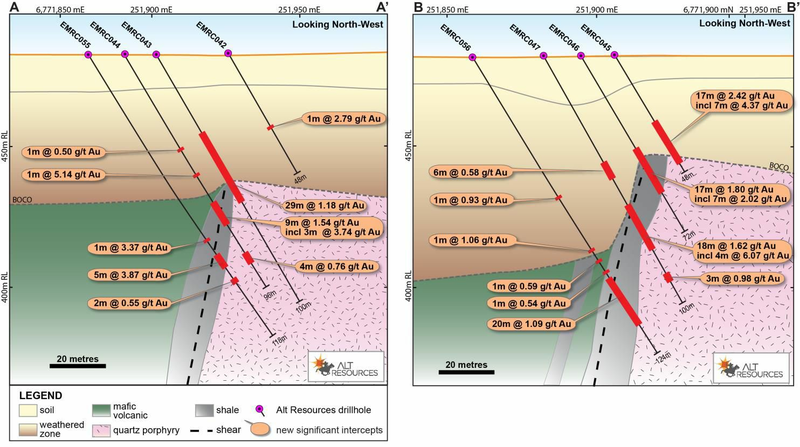 Cross-sections (see Figure 3-3 in link below) reveal that mineralisation remains open at depth throughout the southern half of the Emu deposit. This is consistent with findings for elsewhere at Emu, and also at Southwark. At Southwark, mineralisation appears to be widening with depth, whilst maintaining medium to high grade gold values (see Figure 6 in link below and as previously announced-see Note 3 below). A number of Alt's holes at Southwark were ended in mineralisation. The Company has recently completed several diamond tails extending the most significant of these holes at Southwark. Core from these holes is being cut for despatch to ALS in Kalgoorlie. This deeper, broader zone will be subject to continued drilling, both RC and diamond, as the project develops. 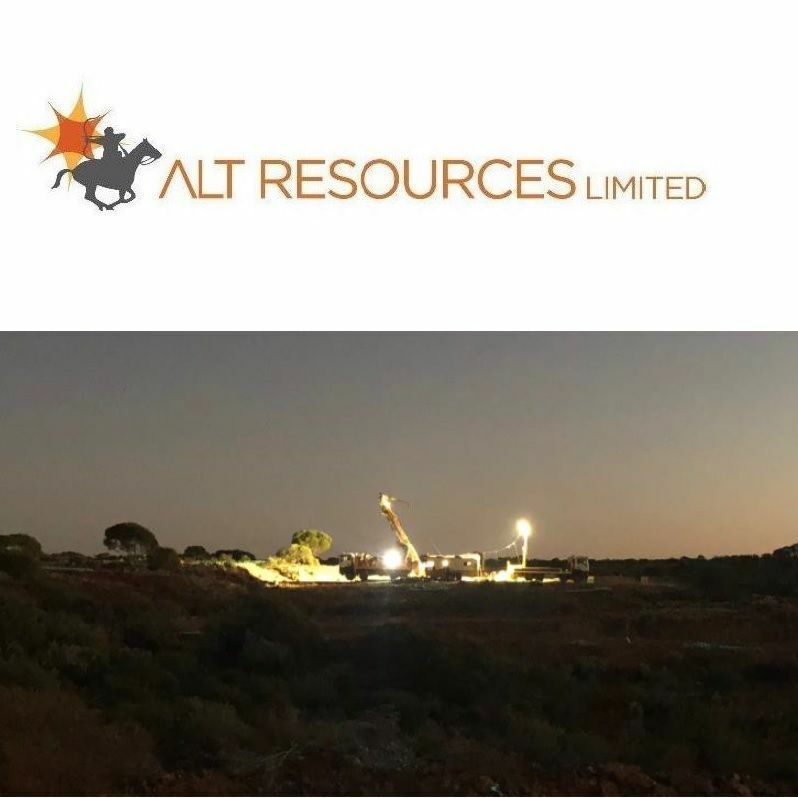 In addition to drilling activities, Alt staff have digitised and validated the extensive historical drilling data for the Bottle Creek Project. Figure 1 (see link below) shows the historical drilling across the entire strike length of the project and the recent drilling undertaken by the Company (shown in red). These are overlaid on historical airborne magnetic imagery at Bottle Creek with an inset showing the detail of drilling and structural complexity (evident in the magnetic imagery) at Emu and Southwark. 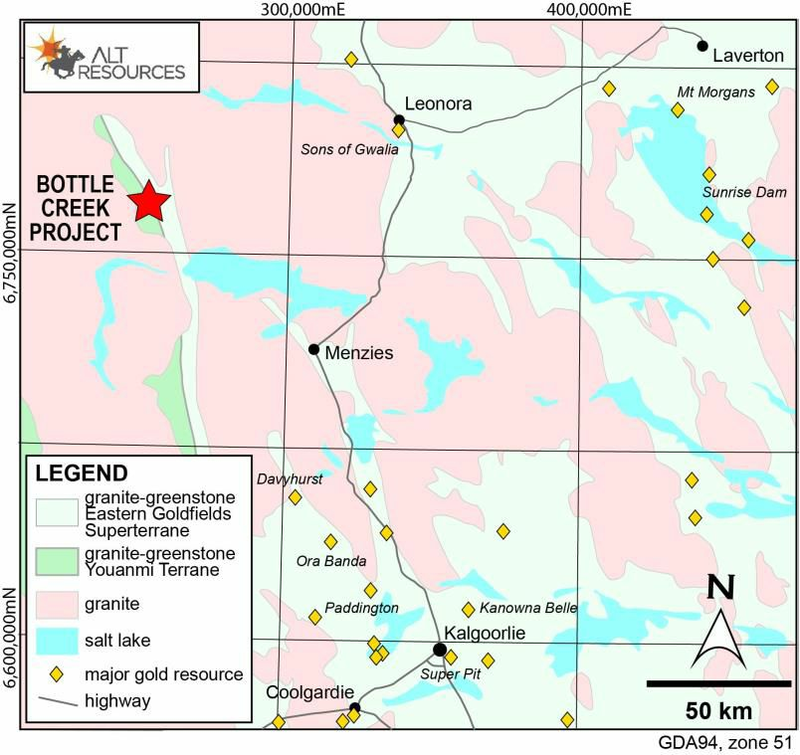 High resolution airborne magnetic data flown by Newcrest Mining Ltd in 1995 and the Geological Survey of Western Australia in 2013 clearly shows the mineralised zones (represented as proxy by drill collar locations) as being on the eastern side of the magnetic lineament running the entire 11 kilometre strike length of the Bottle Creek Gold Project. 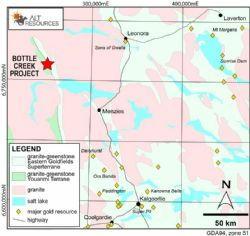 Bottle Creek's high grade gold mineralisation is predominantly hosted in a carbonaceous shale unit interbedded with mafic volcanics, located on the margin of a felsic quartz porphyry intrusion. 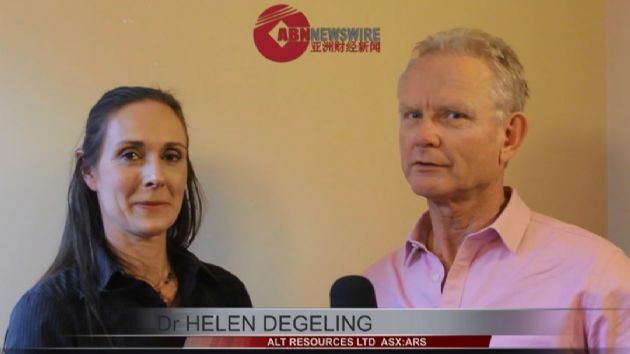 As part of ongoing exploration, Alt will be implementing initial baseline moving loop EM surveys across the recently drilled Emu and Southwark deposits testing the responses from the shale. If successful, ground-based EM will be an optimal method in identifying shale horizons up and down strike for future drilling programs. 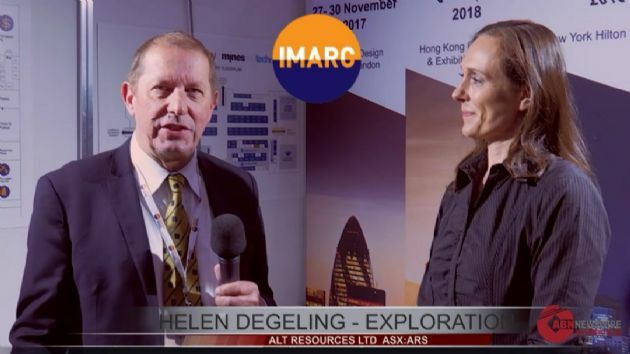 Additionally, Alt is undertaking a structural geological review of the wider region in order to identify cross cutting structures and splays visible in the magnetics for future drill targeting. The northern end of the Mt Ida shear is a significantly underexplored region with very few diamond holes drilled at depth. As part of ongoing exploration, the Company has commenced Aircore drilling across the Bottle Creek tailings dams. The 2 tailings dams are approximately 300 x 300 and 400 x 400 metres respectively and contain gold and silver from the historical mining cycle undertaken at Bottle Creek in 1988. The tailings dams are estimated to contain 1.2M cubic metres of tailings soil from the original processing plant at the Bottle Creek gold mine, generated during 1988-1989 operations. 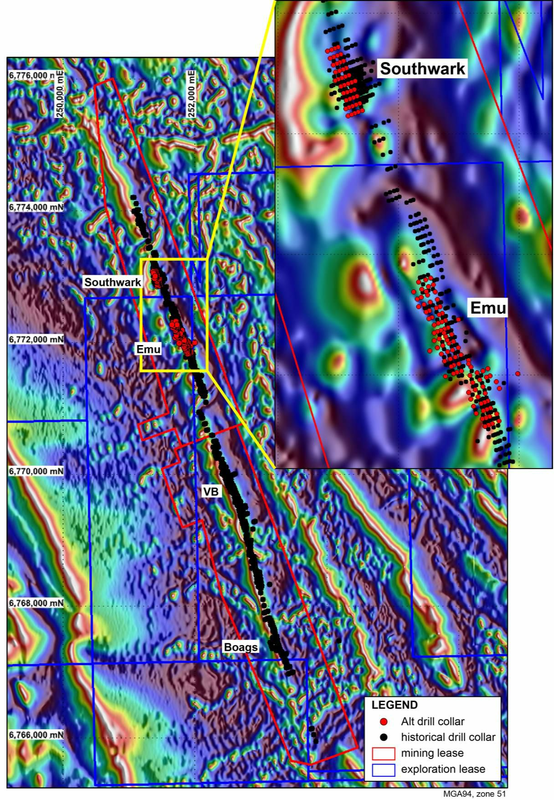 Figure 3-4 (see link below) show cross-sections with new drilling and significant intercepts through the southern part of the Emu deposit. The location of new drillholes discussed in this release is given in plan view in Figure 5 (see link below). The cross-sections clearly show the geological and structural relationship between the felsic quartz porphyry intrusion, the chemically reducing carbonaceous black shale, all hosted within variable mafic volcanics. The understanding of these key relationships will guide future exploration and drilling efforts. A representative section for SWKRC042 is shown in Figure 6 (see link below), whilst a plan map of the final three RC holes at Southwark is given in Figure 7 (see link below). In general, these new results plus those announced previously from Southwark(see Note 3 below) clearly show the widening of mineralisation with increasing depth. This broadening is not isolated but is a deposit-wide feature. Additional drilling will be planned for later in the year to explore potential beneath the known mineralisation. Following on from the successful RC program, DDH1 Drilling has now completed 5 new diamond holes and 9 diamond tails at Emu and Southwark (see Figure 2 in link below). The diamond tails were drilled to extend RC holes drilled earlier in the program that ended in significant mineralisation, particularly at Southwark. This is the first diamond drilling program to be conducted at Bottle Creek since 1987. The Company is also twinning several RC holes with diamond for additional confirmation of assayed results as requested by the resource geologists. 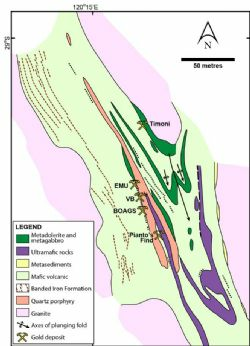 During historical operation from 1988-1989, 90,000 oz Au was produced from two open pits (Boags and VB; see Figure 10 in link below). 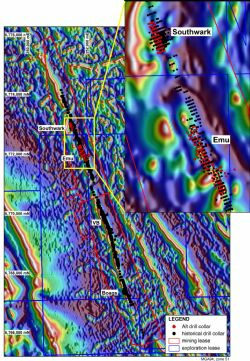 Significant historical drilling along a 9.8 km strike outlined the Emu, Southwark and XXXX deposits. However these were never mined. The historical RC drill fences were spaced at 100m, with infill drill line spacing at 50m and 25m at various locations. The majority of drilling targeted oxide mineralisation and reached no deeper than 80m vertically below surface. 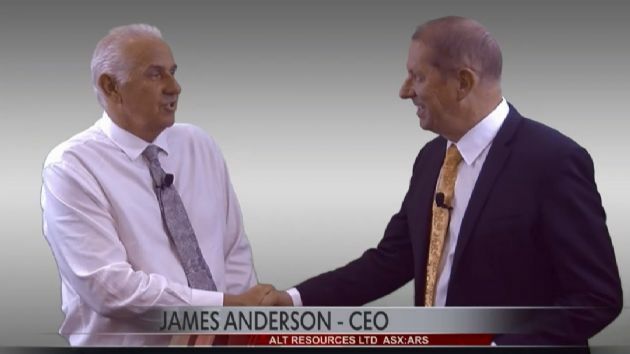 Alt's new drilling results continue to provide confirmation of historical intercepts, improve confidence in historical data, proves the continuity and grade of mineralisation in key parts of the Emu deposit. 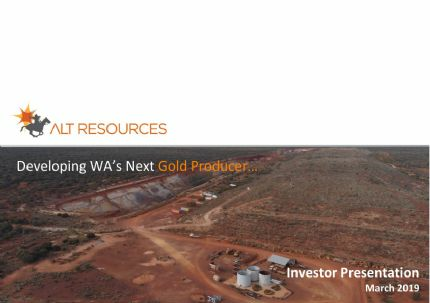 Further, gold mineralisation appears to continue at depth, with several drillholes ending in mineralisation. 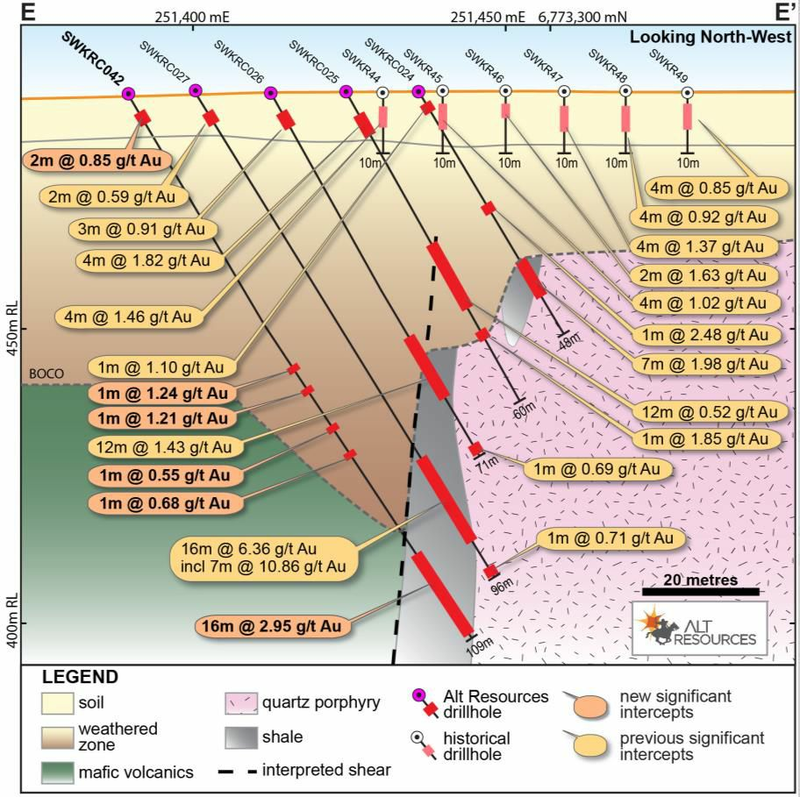 Diamond drilling is being undertaken at Emu and Southwark to test the continuity of gold mineralisation at depth and gain a greater understanding of the geological controls on mineralisation.